Getting rear ended while stopped is everyone’s worst nightmare. Car accidents run the gamut of fault, intention, and culpability, and all of them can be quagmires of legal responsibility. 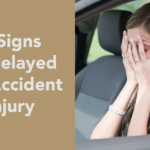 However, rear end car accidents are one of the most common types and are what we’ll cover here, so you can have an idea of what happens if you’re ever involved in one. So, what is a rear end accident? Well, it’s a common type of accident where one car hits the rear bumper of another car. Most of the time, this results in cosmetic damage with very little harm to either person in the car. However, rear end accidents can also result in serious damage to cars, drivers, and passengers. It’s in the latter case where it’s important to be educated so you can respond accordingly in the event of a serious accident. If you’ve been involved in a rear end accident of one type or another, and are at a loss for what to do, reading the rest of this article can give you some insight and advice for how to proceed. But, if you’re suffering from rear end collision injuries, just looking for more information, or if this seems a bit too overwhelming, get in touch with us right away, and we can help you navigate your rear end collision settlement. 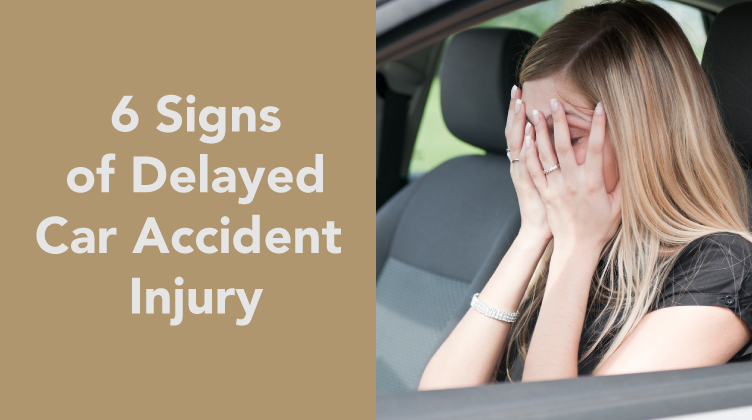 If you’re reading this now, you’re likely thinking about what to do in the wake of an accident. If you’re reading for informational purposes, however, in general it’s a good idea to gather contact information from everyone involved in a crash, taking lots of pictures, and gathering contact information from a few people who may have witnessed. That will go a long way in working through your claim with an insurer. After you’ve filed your rear end collision insurance claim, which is generally the easiest part of the process (most insurers make this part fairly seamless, though following the directives below about insurance adjusters is very helpful), it’s time for the insurance company to determine fault. You might be asking, when is a rear end collision not your fault? Most of the time, the driver in the back is deemed responsible for the crash. This is because the vast majority of the time, the driver in the back was responsible for observing several different rules and best practices of the road. Following distance – The driver in the rear should be maintaining enough distance between them and the car that they are behind so that in the event of a sudden event the driver has enough reaction time to stop the car without an accident. If you are tailgating or close enough behind someone that if they stopped suddenly and you would not have enough time to react and stop your car before a collision, you will likely be at fault. In addition to an unsafe following distance in terms of determining fault, driving too closely to another car can be a violation of some state laws (like Nevada for instance). However, there are several instances where a rear end collision happens where the lead driver is at fault, though most are pretty extenuating circumstances. Multi-vehicle collisions – If your car was pushed into the car in front of you’s rear by a car behind you, fault would likely be placed on the car who hit you. It’s a sort of daisy chain determination of fault. This is most common when determining who is at fault in a rear end collision involving 3 cars. Abnormal behavior by driver in front – If the driver in front displayed erratic behavior, for instance, accelerating in reverse or erratically applying brakes at unusual and unpredictable intervals. Lighting issues – If the driver in front did not have effectively functioning tail lights or has unexpectedly stopped without deploying hazard lights. 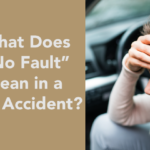 Finally, the manufacturer or your or the car you collided with may be found at fault if there was a mechanical or manufacturing issue that directly caused the crash. Another thing to be aware of is that some states are no-fault collision states. There are currently 12 states that have no-fault laws of varying thresholds: Florida, Michigan, New Jersey, New York, Pennsylvania, Hawaii, Kansas, Massachusetts, Minnesota, North Dakota and Utah, and Kentucky. More information regarding how no-fault laws work for these states can be found here (there’s also a little more info below). 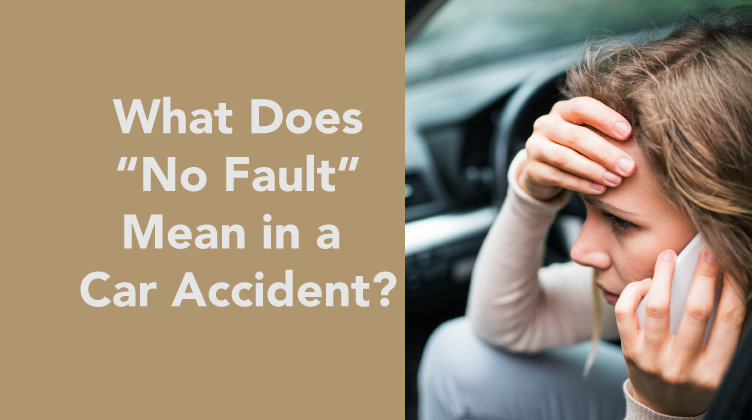 It’s important to remember that fault can be a complex legal category, and that it helps to consult a professional after an accident to ensure that you’re not running into any unexpected difficulties. No-fault states: In these states, to reduce the cost of auto insurance, insurance companies keep collision incidents out of the courts, opting for a resolution system involving three parties: the insurance company, the policyholder, and anyone injured in the accident. It is more difficult to sue for damages in no-fault states, though if the accident is severe enough, it is possible. Choice no-fault: In these states, claimants may choose between a no-fault resolution or a traditional tort lawsuit situation. Tort liability: In these states, a policyholder may be sued by victims of an accident for damages related to property and personal health. As a general rule, no-fault policies pass the responsibility of payment onto each of their respective insurance companies. The easiest way to break down how compensation works is with an example. Let’s say that you’re driving to the gym. As you’re turning right at a green light, another driver runs a red light and slams into the rear end of your car. You exchange information, and after all is said and done, you have $8,000 dollars worth of damage to your car to repair, in addition to what happens to your body in a rear end collision leads to $35,000 dollars in medical expenses after you saw a doctor and had physical therapy for a hurt back after the crash. Working with your injury lawyer, you claim $55,000 dollars in damages. Your insurance company determines that some of your physical therapy was unnecessary, so they counter with $50,000. You and your lawyer respond with a counter of $52,000, which the insurance company accepts. So from this example, while pretty rudimentary, illustrates that viewing compensation as a fluid and negotiable process can be enormously helpful in working through serious accident issues. 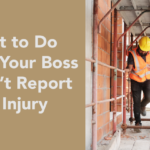 A good injury attorney can help you navigate this process and insure that you are compensated appropriately. If you aren’t satisfied with a decision that’s given to you by your insurance adjuster, it’s their job to hear you out if you contest a decision. In order to help make your case, it’s important to follow several steps. Cover letter – First, write a respectful letter that outlines the details of the case, and why you believe that you were not given a fair shake or the correct amount of compensation, or if you were found at fault when you do not believe that you are at fault. Documentation – While a well-written letter can go a long way in getting you traction with an insurance adjuster, documentation is important. Police reports, written and signed statements, renderings of the scene, reports from mechanics, anything that you find relevant is worth including. Photos – Photos can go a long way in illustrating what happened at the scene of the accident, and can be very effective when communicating with an insurance adjuster. If possible, take pictures at the scene of the accident from as many angles as possible. Witnesses – If there were any witnesses at the scene who consent to describing what happened on your behalf, providing their names and contact information is enormously helpful as well. Many times, providing documentation and other supporting materials will help you communicate to an insurance adjuster that your decision should be shifted or changed. The word “decision” can often imply a degree of finality, but remembering that you have power and flexibility to negotiate with insurance companies is of utmost importance. If you’re struggling to make a case for yourself, a good injury attorney can help you out. When you’re involved in a rear end accident, it can be frightening, confusing, and affect your life for years to come. Remembering that you are entitled to protections and compensation in circumstances where you are not at fault (and in many instances, where you are at fault) can help you recover from many difficult situations. A good injury attorney will help you assess your situation, and also help you discover new ways to advocate for yourself and get the necessary compensation that relates to your situation. Remembering that lawyers are advocates who are on your team to help you win self-sufficiency and security will help you pick a quality lawyer and leave an incident better than when you started. Get in touch with us if you’d like to learn more about your options.